Titanic departing Southampton, England, on its ill-fated Atlantic crossing to New York in April 1912. The planned replica of the ill-fated ship Titanic is once again aiming to set sail. Originally intended to be launched in 2016 by the Blue Star Line — a nod to the owner of the original ship, the White Star Line — Australian businessman Clive Palmer shut down efforts in 2015 because of a financial dispute between a Chinese company and Blue Star Line's parent company, the Palmer-owned Mineralogy. Illustration of proposed Titantic II ocean liner by Blue Star Line. Now a news release for the line says that the financial dispute has been resolved and that Palmer is once again planning to put the ocean liner into service. 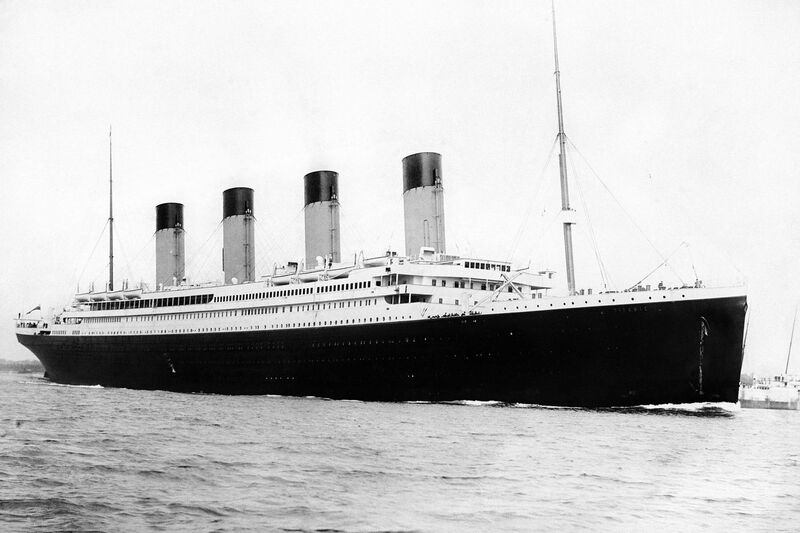 "Blue Star Line will create an authentic Titanic experience, providing passengers with a ship that has the same interiors and cabin layout as the original vessel, while integrating modern safety procedures, navigation methods, and 21st-century technology to produce the highest level of luxurious comfort," Palmer said in the news release in September. The original liner sank in 1912 on its maiden voyage after striking an iceberg in the North Atlantic, resulting in the deaths of 1,503 passengers and crew. Improvements for the new liner include more lifeboats and a steel-reinforced hull. Plans for the ship have it not only retracing the original Titanic's Southampton-to-New York route, but also doing global sailings, Palmer said. USA Today reported the ship's first sailing is aiming for 2022. "Millions have dreamt of sailing on her, seeing her in port, and experiencing her unique majesty," Palmer said. "Titanic II will be the ship where those dreams come true."